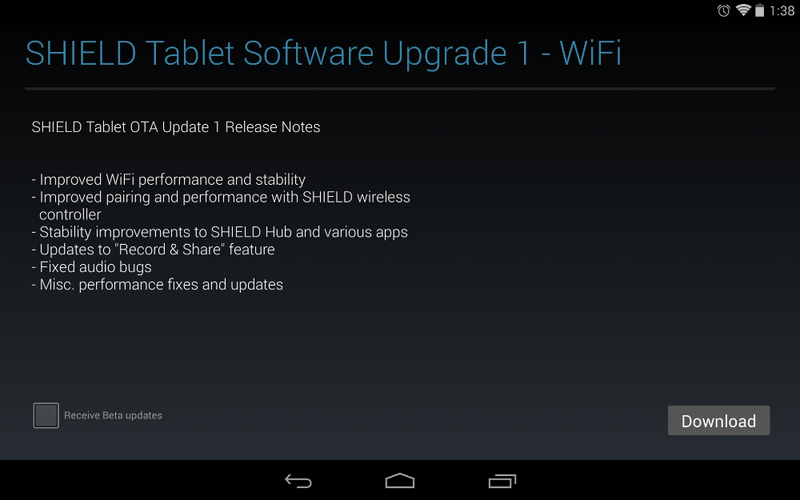 Today, NVIDIA is pushing out an OTA update to owners of the SHIELD Tablet. In the update, NVIDIA includes WiFi stability improvements, improved camera performance, an NVIDIA Prism toggle, and much more. Also included are ShadowPlay performance optimizations, stability improvements to SHIELD Hub and Gamestream, followed by audio optimizations and other misc. stability improvements. That is a whole lot of optimizations and improvements. Own a SHIELD? Head into your Settings menu to begin the install process if you have not yet been prompted to do so.